In general, they extend over the face and neck as a cream and dry for fifteen to twenty minutes; they can be removed with warm water and leave the skin in a state of cleanliness and freshness often spectacular. Some masks, must be maintained by large gauze. It is preferred not to extend around the eyes. For a mask to be effective, it is essential to stay down and motionless for its application, relaxation features are an absolute necessity. They can be used (as appropriate) daily, every other day, or once or twice per weekAll cosmetics brands offer soothing masks, cleansing, firming and moisturizing. Ready, they are generally effective and easy to apply. But we can also prepare masks "house" that do not cost much and are equally effective. Just a little time ... and some basic ingredients. Here are some recipes to try miracle (if possible in the absence of eyewitness!). Twenty-five grams of yeast, and a bottom glass of water to dilute. Let it soak for thirty minutes in a warm place. When inflated, add a spoonful of liquid honey, a tablespoon of green clay and half yogurt. Mix well and apply the mask with your fingers. Leave in place for eight to ten minutes, rinse with warm water and dab your face with rose water to tighten the pores. Crush quite a few slices of cucumbers (stripped of their skin) and mix with fresh milk, forming a paste that you apply on your face for twenty minutes. Melt a small piece of very fresh lard; once melted and still warm, add thirty drops of tincture of benzoin. Mix and apply for twenty-five minutes. Excellent for faces that have suffered from the cold and wind. Apply to face some very good liquid honey, added a few drops of lemon juice. Keep for twenty minutes and remove with warm water (for all skin types). Take a few ripe strawberries, mash them and mix with a tablespoon of corn oil (or sweet almond). Put this "slurry" between two gauze and keep it on the face for thirty minutes. Remove with fresh and warm milk. Mix a cool yellow egg with a tablespoon of olive oil and a few drops of lemon juice. Apply on face and keep for twenty minutes at least. Remove with warm water, and finish by dabbing with rose water. Mix one packet of yeast pastry with a fresh egg yolk and a tablespoon of olive oil. Extend the creamy paste thus obtained, and keep for twenty-five minutes. Remove with warm water. (For dry skin mainly). Make a paste by mixing well large spoonfuls of yeast, with a little rose water. Keep twenty-five minutes. (Suitable for all skin types). Mix two tablespoons of good fine clay (also called "fuller's earth") with a small amount of warm water to form a thick paste. Keep twenty minutes, remove with warm water (but not too much). Finish by lotionnant with a little rose water added a few drops of tincture of benzoin. Mix two tablespoons of flour with a little raw milk; keep for fifteen minutes; remove with warm water, and finish by lotionnant with rose water. Apply as is a fresh egg white, raw and beaten. Keep a good twenty minutes and remove with warm water. The skin will be found as "ironed". (A counselor to be very fast in style before a party). The pure lard (pharmacy) is excellent for the nose tends to shine. Keep thirty minutes. Mix the yeast with a little rose water. Keep the dough for twenty minutes. Remove with warm water. Mix two tablespoons of cornstarch to a beaten egg white to form a thick paste. Apply and keep for twenty minutes. Once the skin "pulls" a little, rinse with warm water. drops of tincture of benzoin warm water. Mask for puffy eyes by fatigue: Prepare a pretty strong infusion of chamomile flowers. Once it has cooled down, soak in 2 packs that you put on your eyes for 15 minutes. Mix 100 g of ground beef end with a dessert-spoonful of olive oil and a well beaten egg white. Apply on face and keep for one hour. Rinse thoroughly with cold water. Take a fresh, natural yogurt, mix with a tablespoon of liquid honey. Let dry and remove with lukewarm water after twenty minutes. Mix two large spoonfuls of oatmeal in a bowl of fresh milk, barely warmed. Add a dessert-spoonful of rose water and a few drops of tincture of benzoin. Apply this "spray" all over your face and hold it with two large gauze. Keep for forty-five minutes and rinse thoroughly with lukewarm water. In winter, when there is more fresh fruit. Soak some dried apricots in a little boiling water. Let them swell; when quite softened, spread them on the face and hold by gauze. Mix a large spoonful of chickpea flour with a beaten egg white and a little liquid honey. Keep twenty minutes and remove with warm water. Mix two tablespoons of green clay (in stores regime, pharmacies and drug stores) with two tablespoons of corn oil. Keep this paste on the face for fifteen or twenty minutes. Remove with warm water. Peel almonds and crush them finely in a mortar. Mix one or two tablespoons of witch hazel water. Apply this creamy paste and keep for twenty-five minutes. Remove dry with a washcloth. On dry skin cream can act as moisturizing mask. 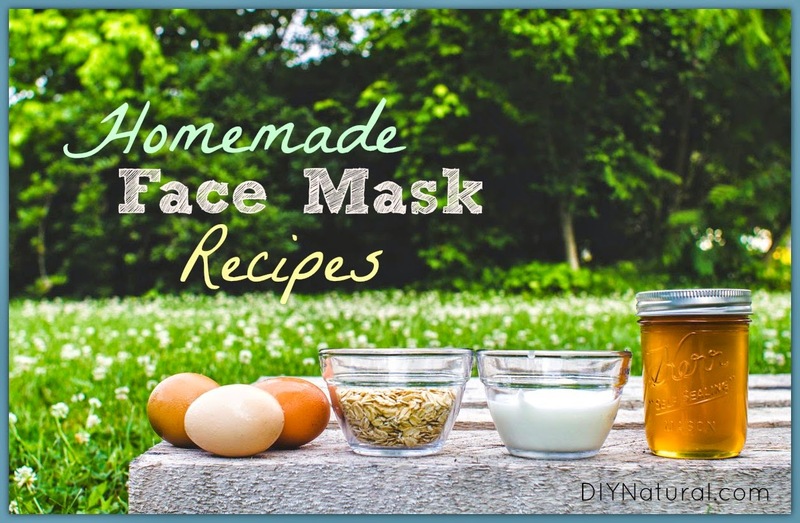 Mix two tablespoons to an egg white mask for a "lifting effect". Let placed 15 minutes, then rinse with a lotion. You can continue to send us your tricks natural beauty through the contact form.